Your gift list may seem daunting as you ponder something meaningful for your significant other and something appropriate for cousin Jimmy in Arkansas. We’ve composed a gift list that features local stores and targets a variety of personalities. You’ve made your list, and you’ve checked it twice. Now go forth and buy. You know who she is — the friend who always looks flawless, fabulous and full of flair. Luckily, Tallahassee boasts a variety of boutiques that can help you keep her style in check. Narcissus predicts the ’70s will be grooving back into closets in 2019. Select from Trina Turk plaids or floral prints and rich solids from Tory Burch. And everyone knows an outfit isn’t complete without accessories. Narcissus sells a variety of modern, geometric-shaped resin earrings by 8 Other Reasons and Verdier. For a more classic, elegant and timeless look, Hearth & Soul loves the Adina Reyter Folded Heart Necklace. Give this one to someone special. For the Southern sweetheart, Rebels Boutique has a wide selection of handmade freshwater pearl necklaces that pair perfectly with its cowhide clutches. The dapper dude in your life likely appreciates the sleek and timeless look of high-quality leather products. Hearth & Soul carries FRYE, the popular American-made leather goods brand. The addition of a structured leather bag and bold, vintage cufflinks can update any outfit. Nic’s Toggery stocks every man’s ideal shirt; the Mizzen + Main brand features a variety of dress and casual shirts that are moisture-wicking and wrinkle-resistant and stretch to your comfort. There’s no place like home, which is especially true for the homebody. Whether it’s the first-time homeowner or the want-to-be interior designer, a stylish, new home furnishing piece can be exhilarating. For a friend, consider an intricate, eye-catching throw pillow, a whimsical serving platter from Coton Colors or a Moroccan oil candle from Fuel Salon + Store. These candles, crafted in France, provide 50 hours of soothing ambiance in any room. For a heartfelt and useful gift, buy a photo session from one of many local photographers. A new couple or a large family, among others, would consider the chance to pose for keepsake photos an irreplaceable gift. Green thumb? Enlist the help of Tallahassee Nurseries ›› to pick out a plant that is unique to the gift-getter’s personality and lifestyle. This person somehow finagles a reservation at the newest restaurants in town months in advance and can tell you the tasting notes in specialty wines and beers. And she or he consumed bone broth and chia seeds before you’d even heard of either. The food and wine connoisseur deserves the best tastes of Tallahassee. Fill up a growler or two of locally brewed beers from Deep Brewing Co. and Proof Brewing Co. If wine is more their style, The Wine House offers an impressive selection, and wine from Farmer’s Daughter Vineyards can be bought locally in Thomasville and Tallahassee. Smashing Olive is a delight for the senses with 38 high-quality oils and vinegars. True fitness junkies enjoy a variety of activities that get their hearts pumping. Select an activity and buy your fitness friend a class or two, be it yoga, high-intensity workouts, kickboxing, barre, cycling or rock climbing. Outfit them for success in a trendy, comfortable and breathable outfit from Lululemon Athletica. Step out in a sleek pair of sneaks from Fleet Feet Sports, which specializes in custom fits based on your foot and physical-activity preference. Curled up, nose to novel is usually where you can find this friend or family member. Sure, you could buy him or her a gift card to a bookstore, or you could make it more meaningful through a visit to Midtown Reader or Thomasville’s The Bookshelf. Knowledgeable staff members can help you find the ideal book for any reader. This is the friend on your gift list who always seeks something new to do. For the outdoorsman or woman, a trove of outdoor adventure equipment awaits at Trail & Ski and Kevin’s Fine Outdoor Gear & Apparel. Or consider gifting an annual membership to the Tallahassee Museum or Goodwood Museum and Gardens. That would guarantee year-round access to activities, exhibits and events. Pamper and primp via purchase of services or gift cards from one of the many Tallahassee salons. A new do, a fresh manicure or pedicure, shaped-up eyebrows and lashes or a massage will refresh and relax. For an at-home spa day, Fuel Salon + Store suggest the FarmHouse Fresh Rainbow Road body scent collection featuring bath gel, shea butter lotion and a rollerball perfume in an uplifting blend of coconut and pear. 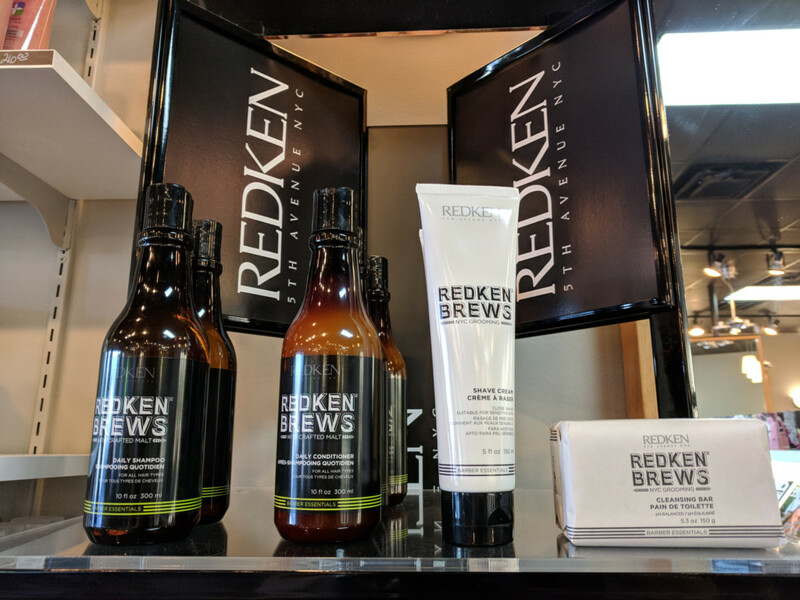 Good grooming is also essential for the guys, and the Redken Brews men’s line of shampoo, conditioner, shave cream and body-cleansing bar has drawn raves.